Kids love technology. They spend hours playing games and watching videos on smartphones and tablets. For both parents and app developers, it’s important to make this experience safe, fun, and useful. Entertainment and learning apps for kids give infinite possibilities for entertainment and learning. There are lots of kids’ shows on TV, schools are using tablets in education, and parents sometimes can’t find any other way to quiet their child at a restaurant than to give them a smartphone. These are just tiny examples of how connected children are to technology. Each year, this connection is becoming tighter. Surveys prove this point. According to a CNN report, children under eight spend around two hours a day with screen media. CNN journalists compared this to data from a 2011 report and found that the numbers have stayed about the same. However, the way children use this time has changed completely. Whereas earlier most of this time was spent in front of a TV, now it’s mostly dedicated to mobile apps — mobile devices account for up to 35% of screen time, compared to just 4% in 2011. Another report by Ofcom shows that the percentage of children who go online is growing among the youngest age groups: since 2016, this number has grown by over 10 percentage points. Today, 53% of three- to four-year-olds use tablets and smartphones to go online. For five- to seven-year-olds, this number is 79%, while 99% of those aged twelve to fifteen are online. Most experts agree that mobile devices will only become a bigger part of children’s lives, especially with the development of augmented reality, smart toys, assistants for kids, and so on. What are children actually doing on their devices? 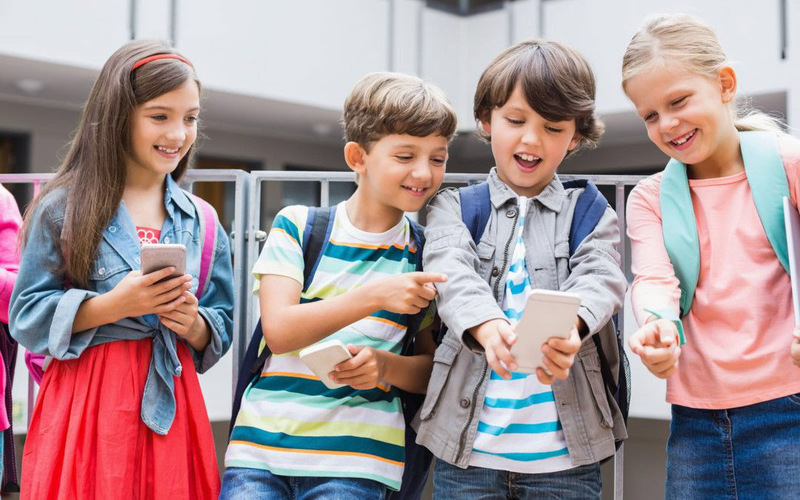 Here we can see that looking at visual media such as photos and videos is the most popular type of entertainment for kids on phones and tablets. Games are in third place. All of these activities are popular, however. From these statistics, we can see that visual content is the most important type when it comes to applications for kids. Now let’s explore the most popular types of applications that can find their niche in today’s rather saturated market of mobile apps for children. Video streaming is the best way to entertain a kid. Children can watch videos for hours, and parents gladly use this took to keep their children busy during long trips. The main concern parents may have is with the content. While many video streaming services already have age restrictions, there’s still a chance a kid will run into inappropriate content. To address this concern, there are separate video streaming applications for kids. The design, UX, and content of these apps is geared toward children. Video streaming applications for kids are often produced by famous media companies. For example, there are children’s applications from Disney, YouTube, and Nickelodeon. However, some entrepreneurs make their own video streaming mobile apps, often with educational content in mind. For example, BrainPOP Jr. produces one animated video per week, in which animated characters make learning about science, social studies, math, health, and technology fun. Most video streaming applications offer subscriptions, so it’s easy to monetize them if you’re providing valuable content that kids enjoy and parents can trust. There are countless fun learning apps for kids, and the most popular of them are extremely creative. It’s very important to teach kids through games, and app makers come up with all kinds of ideas for their kids learning game apps that can make learning not even feel like work. For example, Tiny Robot Maker allows children to create their own robots. 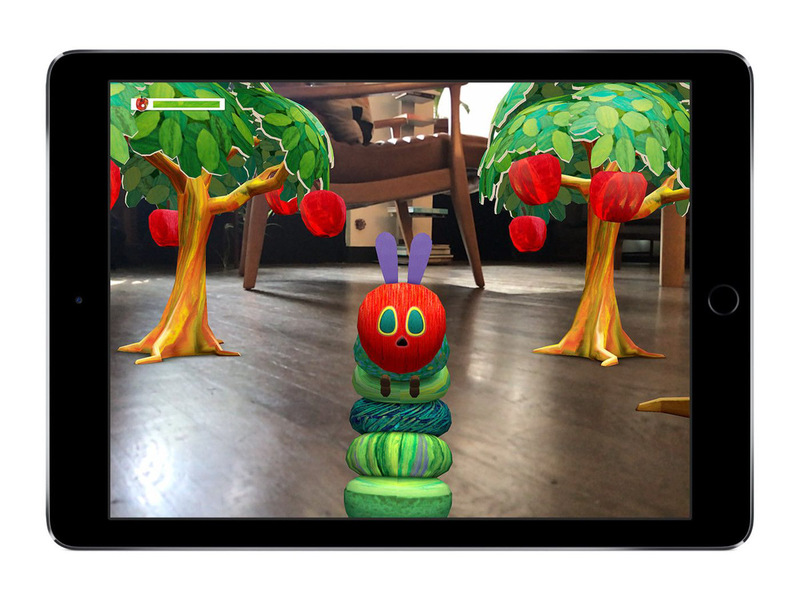 For drawing, there’s The Very Hungry Caterpillar application that encourages kids to design, paint, and color pictures. Swift Playgrounds can even teach kids the basics of programming! The main thing when it comes to educational applications is to make them engaging and geared toward kids. We’ll talk about this in more detail a bit later in the article. Educational applications are probably the most fun way to learn, and they give kids an opportunity to learn in different ways. Unlike videos, which kids need to watch attentively to learn something new (which is often difficult for them), interactive applications give both children and app makers lots of opportunities to be creative and flexible about learning. Sometimes it’s hard to tell games apart from educational applications when it comes to apps for kids. Educational apps look like games, and games can also teach things. However, in this section we’ll focus on gaming applications that are purely for fun. 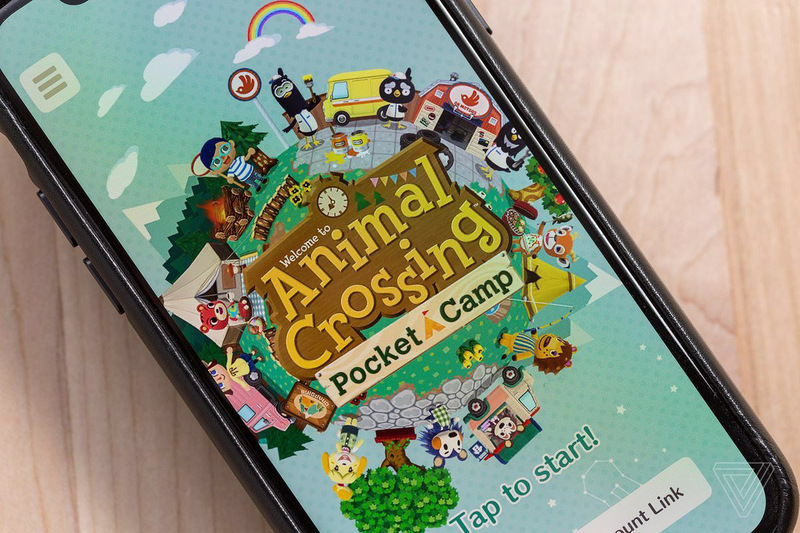 The best examples of gaming apps for kids are those derived from famous computer or console games, like Mario, Minecraft, and Animal Crossing, which was based on a classic Nintendo game. Games are one of the most popular categories of apps for kids. Developing games doesn’t require strong pedagogical skills from entrepreneurs, and it’s rather easy to monetize them. Games also utilize the most recent technologies, for example, at the moment AR is a huge trend, and you can use it in your gaming app for kids to win the competition. 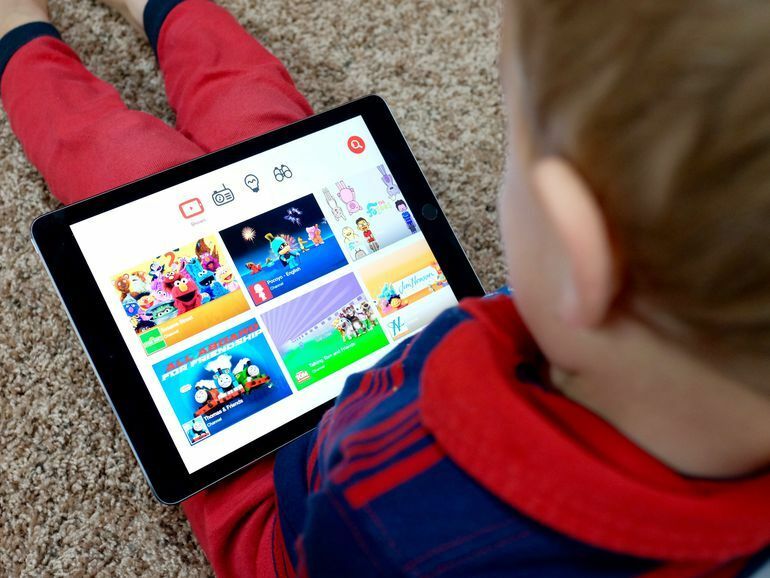 However, gaming apps for kids should avoid integrating in-app purchases, as children don’t always understand that they’re paying for in-game items with their parents’ real money. Speaking of this, let’s discuss tips on developing applications for kids. There are quite a few! Some people think that writing a children’s book is easy. Simple characters, a simple storyline, some funny jokes and you’ve nailed it. But in fact it’s more complex than it may seem. You need to consider children’s psychology and what differentiates kids from adults. Mobile apps for kids are similar to books for kids. If you want make a children learning app or any other kind of children’s app really, you need to remember how to be a child yourself! There are three key differences between kids and adults when it comes to designing a mobile app. Challenges are extremely important when it comes to kids’ apps. This characteristic is more about gaming or educational applications, but even in some videos for kids you can find creative ways to challenge your viewers. Actually, even adults love challenges, but only when they expect them, for example in games or gamified applications. Children love challenges everywhere; they make their achievements more significant. But the challenge is worth nothing without feedback. It’s very important to react to every action a child performs in the application, but this feedback shouldn’t be authoritative. Let me explain. If a kid makes a mistake in an educational application, don’t show the solution right away. Instead, give a hint about what’s wrong and let the kid figure it out themselves. It’s essential to allow kids to make mistakes… and fix them. Finally, remember that kids grow up really fast. This explains the pretty narrow age groups targeted by children’s apps: ages 3–4, 5–6, and so on. This is because children develop constantly, and an app geared toward a three-year-old won’t work for a five-year-old. A good strategy is choosing a maximum two-year age range. Consistency is the most important thing when it comes to the user experience. Adults hate it when an app is inconsistent and doesn’t allow them to achieve their goal. Children won’t enjoy this either, especially if it’s a bit challenging to use your application at first. Your app’s purpose is the first thing parents will look at when installing your app on their kid’s device. You need to show parents a reason to use your application, and you need to do it from the very beginning. But adults aren’t the only ones you should convince. Children will quickly get bored if they see that an app is pointless. Note that surprises and exceeding expectations are two different things. Users won’t probably enjoy it if the app behaves unexpectedly. 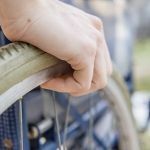 However, that doesn’t mean you can’t add little things like funny loaders or other small details that evoke positive emotions. 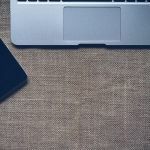 The principles of app design for kids and adults are different, and while parents will probably be installing applications, you need to develop your product for kids first. Let’s discuss what’s important when you design an app for children. Be very careful about using in-app purchases as a monetization strategy. If it’s too easy to pay for something in your app, this will probably push away parents. Children won’t understand that they’re paying for things with their parent’s money. Don’t place any interactive elements at the bottom of the screen, as children tend to accidentally touch that area. Provide many possibilities rather than a script. Children are explorers by nature, so don’t make your application follow a single scenario. This tip applies to games and educational applications. These are some fundamental things you should keep in mind when developing mobile applications for kids. Each year, more and more children get Android and iOS mobile devices like phones and tablets at an early age and spend more time in front of screens. 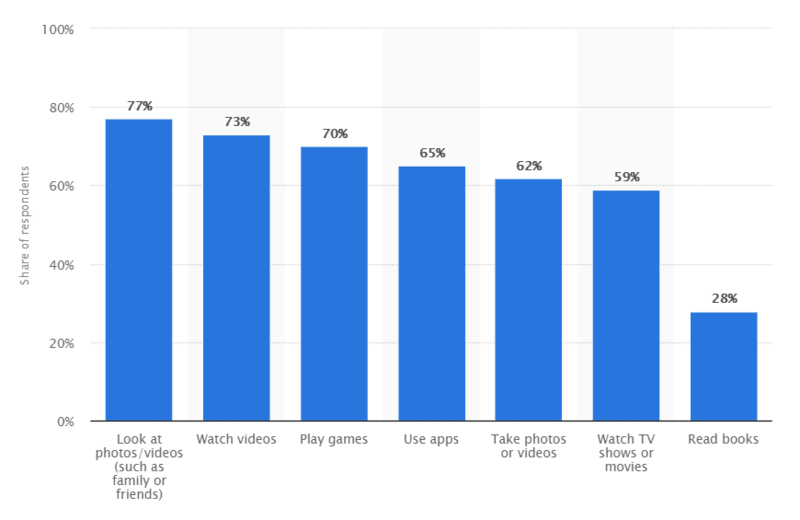 Unlike in previous years, when children spent hours in front of TV, now apps take the lead. 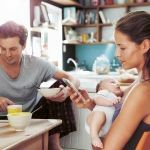 Moderating the use of devices by children is very important, but it’s inevitable in the modern world where technologies support us in almost every part of our lives. As a mobile entrepreneur, you have a chance to make the time children spend on devices useful and meaningful. If you want to impact the next generation in a good way, a mobile app is a great tool. Contact Mobindustry if you’d like to develop an app for kids. We’ll help you create a product that children will enjoy.